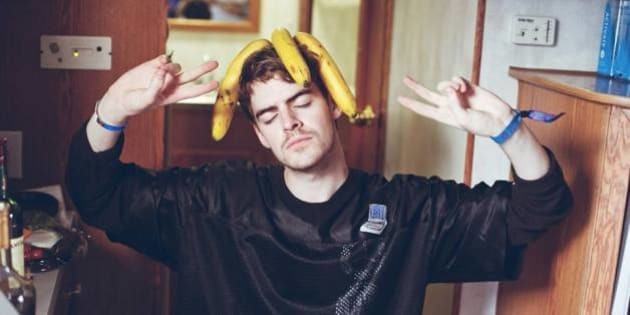 One look at Canadian producer Ryan Hemsworth’s Twitter account and it’s clear why he is the DJ to represent the generation known as the Millennials. Listed as one of Rolling Stone’s “50 Things Millennials Know That Gen-Xers Don’t,” Hemsworth is aware that his moody remixes of current hits as well as his nostalgia-clad online presence (his Twitter profile features an animation of him holding the Pokemon character Pikachu) has created a very fine demographic of followers. And of course his musical output is nothing like Weird Al’s, though it may boast just as many cultural references. Last year, Hemsworth put out two releases, his "Still Awake" EP followed by his Last Gang Records debut album, "Guilt Trips." "I've kind of been put into this DJ work whether I wanted to or not, but I definitely come from a more rock background,” Hemsworth reveals, when asked why an album matters to an Internet-paced producer like him. "I just wanted to show that I am still a part of the world that I wanted to be a part of and hopefully albums still matter, I think they do." Another aspect of rock that Hemsworth holds on to, though he can't achieve as easily as putting out a full-length, is the idea of a concert or performance rather than a party at a club, his default venue. In fact, Hemsworth admits that the only time he's ever at the club is when he’s performing, but that he craves the intimacy of a smaller gig. “I did a live stream from my bathtub once and that was the most fun I had,” he admits, adding that his ideal show would involve a certain sense of closeness as well as some candles, perhaps. "Kind of like when Nirvana did their 'MTV Unplugged' session.